Pura Plumbers in York are here to offer a professional and reliable service throughout York and all surrounding areas. Since 2006, we have been working relentlessly to establish and maintain a top-tier reputation, with customer service at the front of our mind. Our friendly team of experts can provide a safe and complete service for any plumbing and heating work you may need, for both domestic and commercial properties. Our high-quality workmanship has led us to work closely with many well-established builders and letting agents, which have continued to use our services for a number of years. 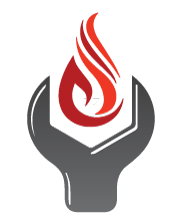 Our plumbers are Gas Safe Registered and have a great depth of knowledge on all heating, plumbing and electrical services and are more than happy to help you, no matter how small or big the job may be. Get in touch with our team today for more information, to arrange a visit or for a free no obligation quote! Call one of the most reliable and trustworthy plumbers york on 07973 542283 or use our simple call back request form. We offer a wide range of tests for anyone letting a property. We will check for any gas related hazards, offering you and your tenants complete piece of mind. All our staff are Gas Safe Registered and have been fully trained to analyse the safety of a range of gas appliances. Here at Pura, we have a team of professionals that can install, service and maintain all types of different heating systems. Our gas safe registered team can install a wide range of appliances throughout your house. We also offer a power flushing service, perfect for improving the performance of your central heating system. At Pura, our staff understand that a burst pipe or water leak can cause a major inconvenience in your life. To combat this, we provide a fast and reliable service for virtually any plumbing related job. No matter what your crisis, Pura has you covered! Need a new bathroom or wet room? Pura is here to help. Our comprehensive bathroom installation service includes the disassembly and removal of current fittings, laying of the groundworks, fitting of any sanitary ware and the cleaning of any suite. We work closely with all our customers, to ensure a smooth installation that meets all of your requirements.